Do you know why some homes have a deck while others have a patio? Patios are usually at ground level where they can easily support the weight of the concrete, pavers, stone, tile, brick or pebbles they're build from. Decks offer more flexibility, ranging from just above ground level to the roof of a garage or house. While it's true the final decision is yours, picking a patio or deck is influenced by factors you may not control. Patio or Deck: How Steep or Sloped is Your Ground? We're used to looking at a patio or deck after it's built, so we assume the setting is natural. In fact patios require level ground so if you have any type of slope, there will be added cost to level out the ground. That's not all as more than a few inches might also require some type of retaining wall to maintain the level ground or your patio might settle unevenly. Why are decks more common? Can match the floor level of your home, from which you'll step out onto the deck. Don't require a level surface as they're supported by posts sitting on concrete piers in the ground. Don't require excavation to clear space, as you can build a multi-tiered deck that accommodates boulders and ledge. Can take advantage of views by moving them up to see over other structures. Along the seacoast you can see widows walks where sea captains' wives watched for their return. Patio or Deck: Want Lower Maintenance? Higher Resale? 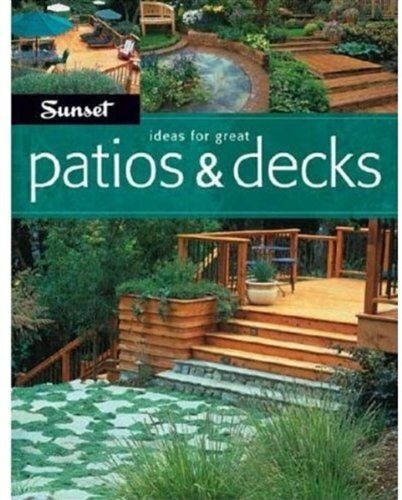 In most neighborhoods you'll find mostly decks or almost all patios. There are lots of reasons for this like the same builder. Weather can play a big role so you're more likely to find patios in very hot climates like Florida and Arizona. Patios look and feel more permanent as they get integrated into the landscape. Stone and masonry materials last much longer than wood when installed properly. Patios allow plantings close to the paving, softening the overall paved area. Patios often have better resale value. “The value of a deck or patio is relative to the design, functionality and quality of installation. The lack of any or all of these elements can decrease it's value.” according to Jack Tremblay. Derek Leider Masonry built a concrete base for this patio, to replace a deck. One reason there are more decks is homeowners find them easier to build. Where a patio may require excavation and then multiple layers of gravel and sand, a deck only needs enough ground to be dug out to sink the concrete support piers below the frost line. More homeowners have basic carpentry skills and the tools to build a deck. The masonry skills for laying a patio that will last for many years, and the equipment to excavate and prepare the base are more complicated. With a patio you also have to coordinate the delivery of significant amounts of material. The gravel to build a base 4 inches deep for a small, 10×10-foot patio weighs approximately 2 and a half tons. The delivery truck will dump it in your driveway and then you have to shovel it into a wheelbarrow and move it to the patio location … a long and tedious job as we do a few of these each year at my handyman business. You have quite a few material choices for decks and patios. Patios can be made from concrete, pavers, stone, tile or brick and since patios are at ground level, they don't require any handrails. Decks have traditionally been made of wood, either pressure treated pine or more weather resistant redwood, cedar and mahogany. Today there are composites and vinyl that are becoming popular as they require less routine maintenance. While building codes vary, decks generally require railings when they're 3 steps or higher. Climate should also be factored into your choice of materials. Consider typical temperatures and whether people can walk on your choice of materials comfortably and safely. Research how well your choice of materials will hold up to cold and heat. Some materials are more resistant to insects, warping, splintering and water damage. In all cases, make sure your deck or patio design incorporates good drainage. Consider working with a landscape architect. You might save time and money! Some of these photos contributed by Jack Tremblay, Landscape Architect. Jack designs and installs landscapes for homeowners on Boston's north shore and north to Maine. PS For those who don't live north of Boston, you can find a landscape architect near you through the American Society of Landscape Architects (ASLA). 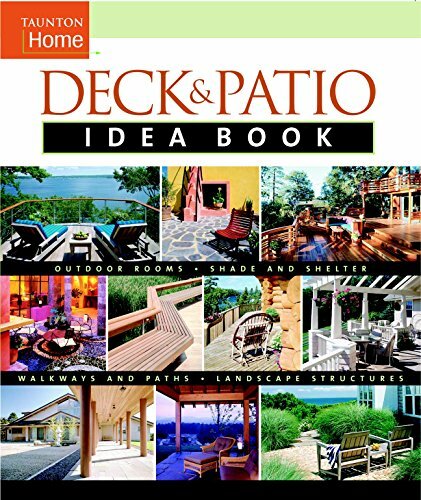 Not ready to decide on a patio or deck? Find more ideas for your favorite outdoor space (firepit is my fav). It’s so cool that decks don’t require a level surface to be built. My home is located on a hill, so it sounds like a deck would be the best choice for me. Where can I learn more about the different decking materials and the advantages? This article is very helpful for people that are trying to change the design of their home so appreciate your advice. My grandchildren are coming this summer and I want my backyard to be a place that they like to be, and a place I like to be. I have been debating if I should get a patio or deck, so thank you for writing about this! After reading this artical I am leaning towards getting a patio. Because like this artical states they look and feel more permanent, and are found in hot climates. I live in a very hot area so this is perfect! I believe that I will hire someone to do the work for me, maybe if I was younger that would have been an option. I am just excited to have my grand kids over! I can’t wait to have to decide on something like this, i.e when my husband and I actually find/buy a house! Yes Gigi, buying a house is a lot more fun (and work) than a new piece of clothing as you get to make changes over & over. I’m not a homeowner just yet, but I’m hoping to be within the next year, so this was a good read. Thanks for putting this together, and I’ll definitely be bookmarking this for when I need it! A patio would be perfect. That level ground feel of space feels great. But decks are above ground, you feel this control over things. It depends on the person’s perspective of the overall feel of the house. But whichever fits best or feel right anyone should with it. This is really so helpful! We had a deck before and we eventually found the maintenance of treating the wood on a yearly basis a very tiring thing to do. So we decided to do a patio this time around and so far we are happy with it. Glad to hear the switch worked for you & curious … did you consider switching to a composite decking material? And is the patio where the deck used to be & close to the ground? I think a patio would suit my house well. But first, I’d love to put an actual back door in so I could access it from inside the house. There’s nothing better than a great patio. We have one that is half stone half grass and it’s perfect because it gives you a little bit of both with enough space for a BBQ, table/chairs and all that. A deck seems like a good alternative also, esp. i f space is limited. Love having all these options. This is a great patio. I am planning to do this some stuff like this in my home. And i think this is a great help. This is awesome! We are planning on making additions to our backyard and this is exactly what we needed. 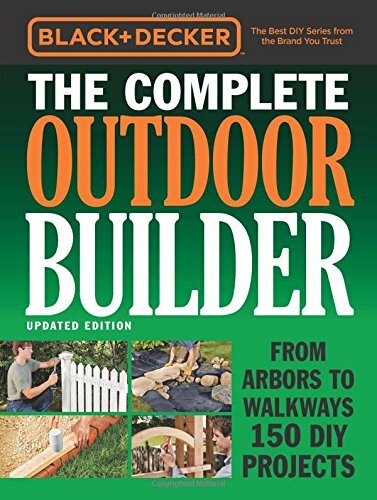 I never thought about how many steps are needed to go from your door to the ground as a guide for either a patio or a deck, but now that you bring it up it makes so much sense. I replaced the patio in my backyard last year. I would have loved a deck, but the patio fits better. That’s really good to know that, like you mentioned, decks don’t require excavation to clear space because you can build a multi-tiered deck that accommodates boulders and ledges. I’ve heard that adding a deck to your backyard can add some serious value to your home. Is that true? I’ll have to keep this information in mind as my wife and I decide if installing a deck is going to be best for us. Thanks for pointing out that a patio requires a steep or sloped ground. More specifically you said that if you need to level out the ground there will be added cost to your patio. I think it’s important to choose a patio company that offers a guarantee for their work. Choose The perfect deck for any home.Ww accomplished many decking remodeling projects helping customers to build a balconies or deck patios to enjoy a worm sunny morning in the beautiful city of Los Angeles. website here, thanks for sharing. Patio is the best for my home, that is a relaxing area in our house, we have a great view to our water features that give us the access to the soothing sound of the water.